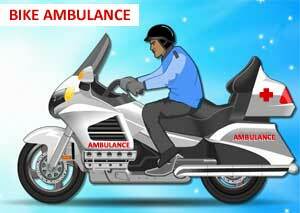 Chandigarh: Max Hospital launched the First Responder (FR) bikes in the tri-city area of Chandigarh, Panchkula and Mohali recently to provide timely medical attention to accident victims even before an ambulance can arrive. The first Max-First Responder (FR) bikes are equipped to save time in proving timely medical assistance to accident victims that will be available on dialling an emergency number. The advanced life support ambulance will be facilitated after the immediate attention of bikes that will be equipped with emergency medical and trauma care facilities. “The burden of road accident victims across tri-city is rising, especially during night and early morning hours. So, Max Hospital, Mohali, has come up with around-the-clock emergency medical & trauma care services,” Dr Ramesh Sen, Senior Director and Head-Max Institute of Orthopedics informed IANS. “Provision of timely, effective and quality emergency care is vital to minimize fatalities,” said Dr Sen, acknowledged the Max Hospital’s initiative to provide private hospital network in the country to launch such bike responders along with the ambulance. Launching of these bikes aspire to provide faster medical help through traffic congestion. “The FR bikes will be operated by a trained Emergency Medical Technician (EMT) and will reach in the shortest possible time. The bike responder is equipped to handle most traumas and health emergencies and will greatly save time during peak traffic hours while an ambulance is on way. Its paramedic will administer the desired first-aid followed by a fully equipped ambulance with the doctor,” Dr Sen added.